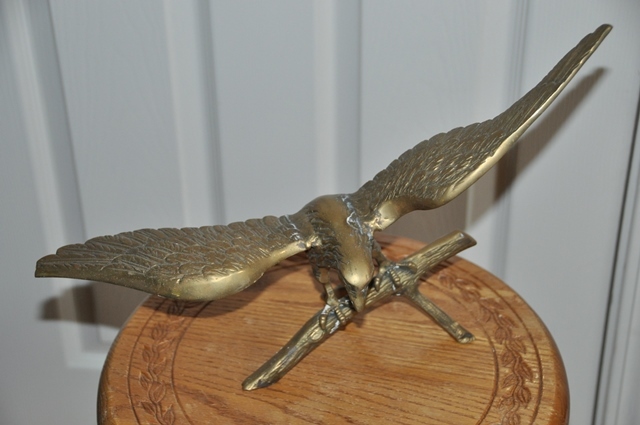 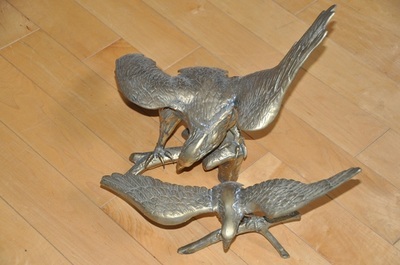 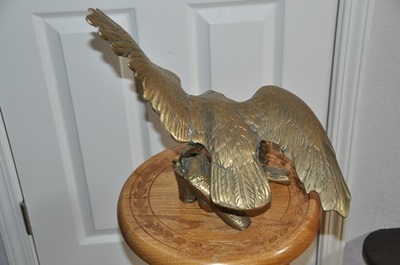 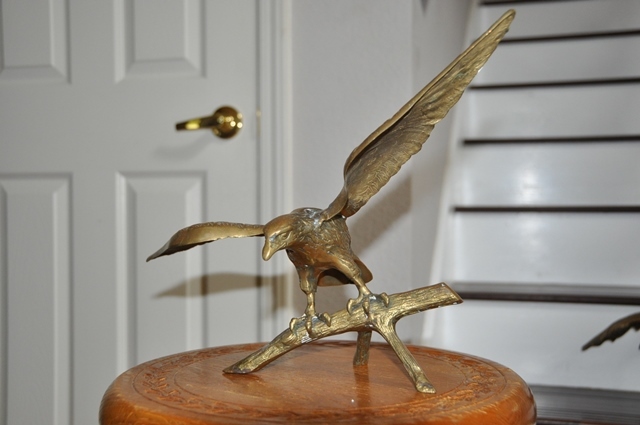 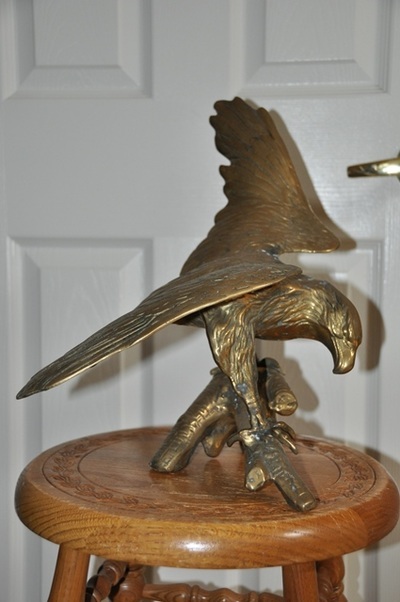 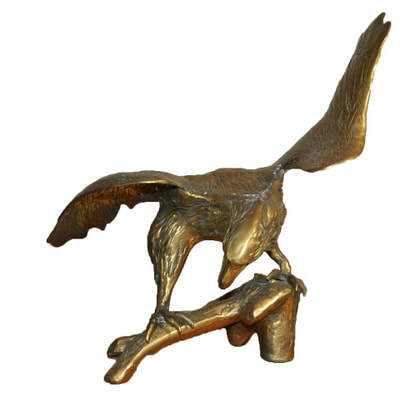 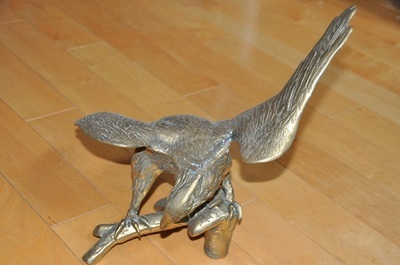 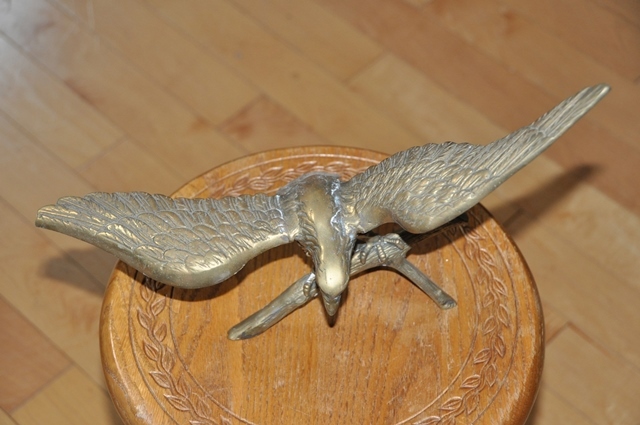 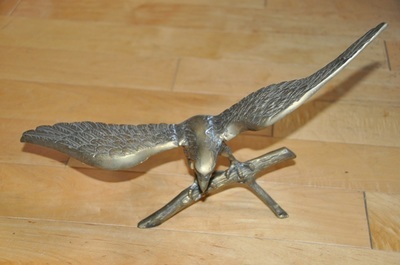 This is a pair of brass statues of an eagle perched on a tree branch. 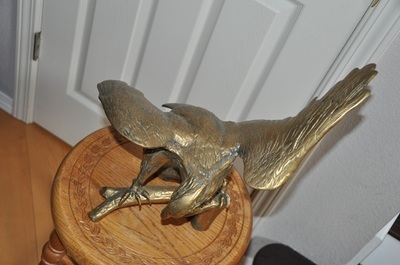 The large one is 15" tall and its wingspan is about 18". 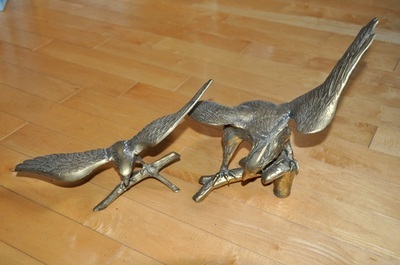 The small one is about 11" tall and its wingspan is about 17".